Blackadder. The greatest sitcom in British TV history? Quite possibly. In our opinion, anyway. 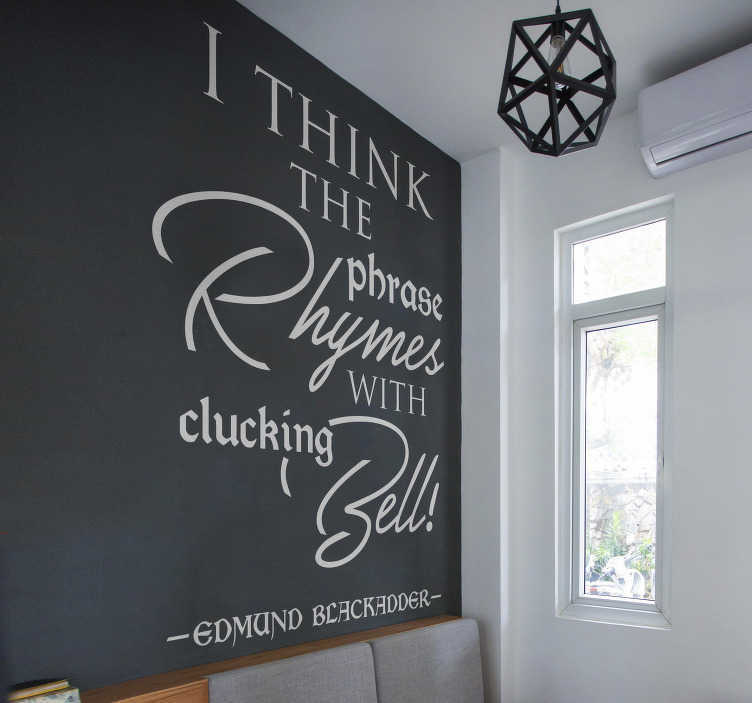 That is why we have transformed it into a superbly funny comedic wall sticker, depicting the classic quote ´I think the phrase rhymes with clucking bell!´ - Who else, what else but Blackadder? Ideal TV decor for anywhere in your home!